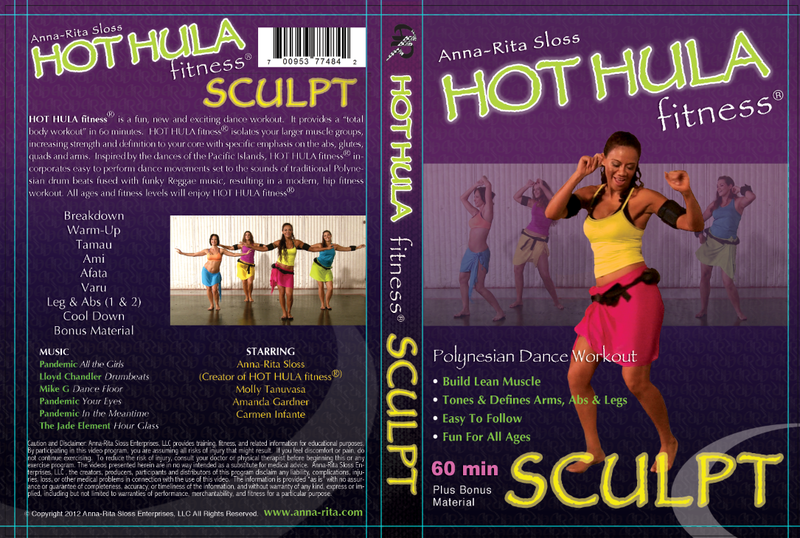 HOT HULA fitness® provides a “total body workout” in 6o minutes. Can't find a class or make it to the gym, no worries. Now you can enjoy HOT HULA fitness® in the comfort of your home. No equipment needed. The Home Fitness DVD Set includes 3 - 60 minute DVDs with a beginner, intermediate and advance HOT HULA fitness® workout. You can get a great workout and have fun at the same time. Our 3 DVD set comes with a beginner, intermediate and advance workout for $39.99 plus shipping. Add sculpting to your core workout with our HOT HULA fitness® SCULPT. Focus on building lean muscles. Tone and define your core, arms & logs. Enjoy this one hour class set to drumbeats, hip-hop and reggae. Let HOT HULA fitness® SCULPT take you away while you workout.